Pictured above is the iliacus. It is one of the hip flexor muscles, and pulls your leg up toward your hip (like when you lift your leg). It is one of the most influential muscle in the body. You can't move your hip in any direction without using this muscle. This muscle is VERY LIKELY to need some SMR attention along with the psoas muscle. 80% of all adults over 18 years of age have some form of back pain. If you aren't checking the psoas for excessive tension you are missing one of the most significant links to proper back function. 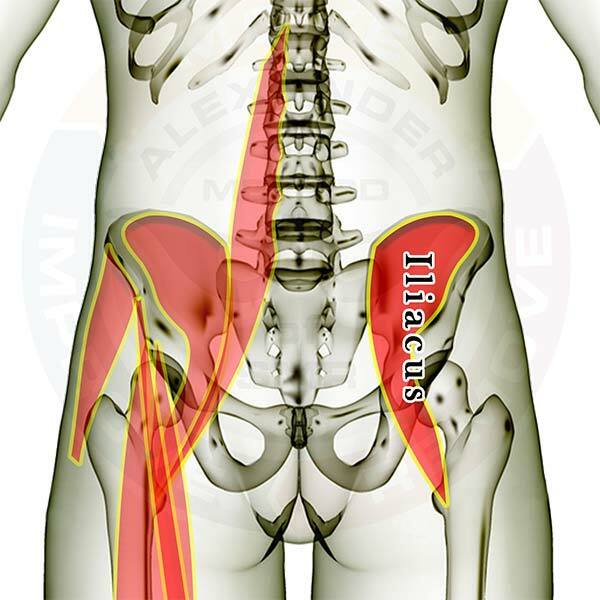 Click here to see the hip flexor muscles as a group.